Would you like to keep up with your account anytime, anywhere, 24 hours a day, 7 days a week? Then our Online Banking is for you. See your account history in real-time and view posted checks by clicking on a provided link. You can easily transfer between your own personal accounts* or to your loans. If you are out of checks, reordering is as quick as the click of a button. You may also enroll to receive your statement online. Are you tired of the hassle of writing checks and buying stamps for your bills each month? If so, our Online BillPay Plus is your solution. This service is available at no charge! It’s easy, safe for the environment, and saves you time and money! 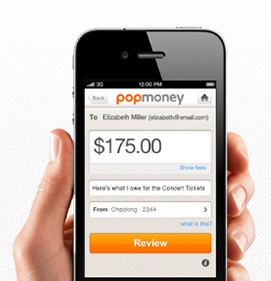 Popmoney is an innovative personal payment service that eliminates the hassles of checks and cash. Now, sending and receiving money is as easy as emailing and texting. You don't need a new account to send or receive money, just log into your Bank of Winnfield & Trust Company account, click on Bill Payment and select Popmoney to get started. For more information on Popmoney, simply sign into your Bank of Winnfield & Trust Company online account, click on Bill Payment and then Popmoney. If you wish to go paperless, please come by either branch and complete an enrollment form or send a signed request letting us know you would like to receive your statement electronically. You may also log in to your online account to manage your delivery preferences. *Federal limitations apply to transfers made from savings accounts or money market investment accounts. These types of accounts are limited to a total of six electronic transfer debits during a monthly cycle period (Touch Tone Teller, Online Banking, ACH, and telephone transfer).